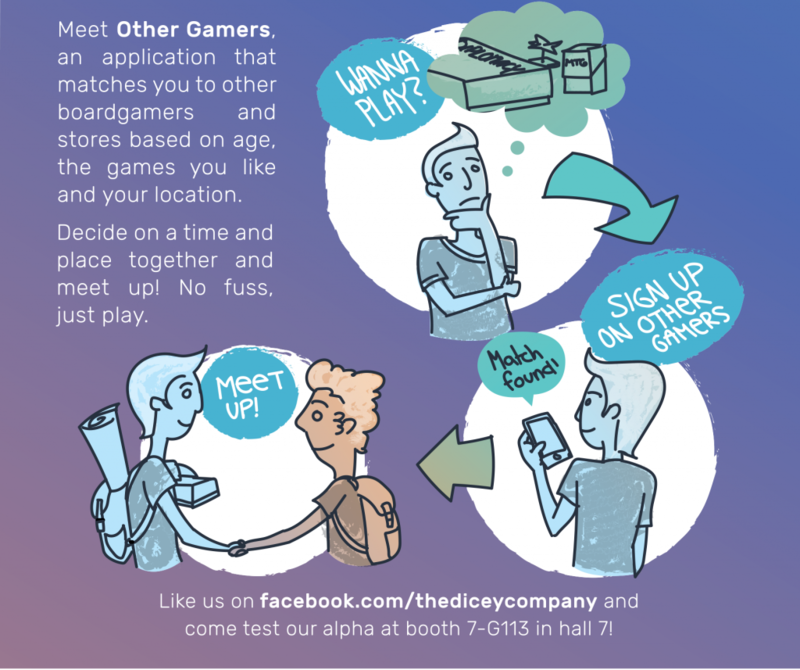 The Dicey Company just launched their first trailer for their upcoming app Other Gamers. 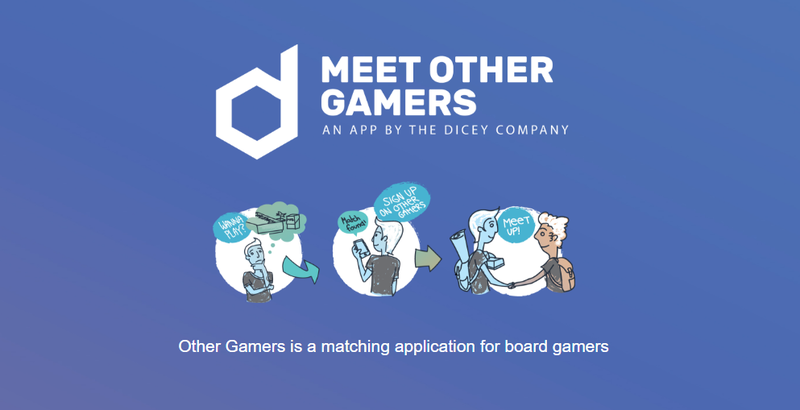 The app helps connect board gamers with each other so that you can play your favorite games together. The app will match you with other gamers based on age, location and the games they like. The trailer shows features like being able to scan in your board game collection, connect with people near you, and then send and receive invites to meet up and play a game. The Dicey Company says they plan to launch an alpha version of the app on Android, iOS and Windows Phone in early 2017. They hope to work out all of the bugs and have a beta release of the app by Q3 of 2017. The alpha release will be worldwide, and the company says they’ll be working closely with local stores and local communities to test Other Gamers. Even though the app will be available to the whole world, The Dicey Company says they can’t guarantee you’ll find people in your city. Once they launch the beta version of the app in Q3 of 2017, the team says that local stores will be able to add their locations as a spot for gamers to meet up. An app like this would definitely be great. There have been similar apps in the past that I have used that have not worked that well, mainly because no one signed up and made a profile. The only way this will be a valuable app and resource for people is if a lot of people actually use it. I do like the fact that local stores will be able to add themselves as a hub to meet up. It is a bit scary to invite people you don’t know to your house to play a game. It’s much easier to meet up at a local store or business to play a game, so having those locations available right there on the app will be awesome.